Halloween is almost here and that means spooky, ghostly, scary fun is coming. Tomi and Mimi found spooky spiders in a very unexpected place. 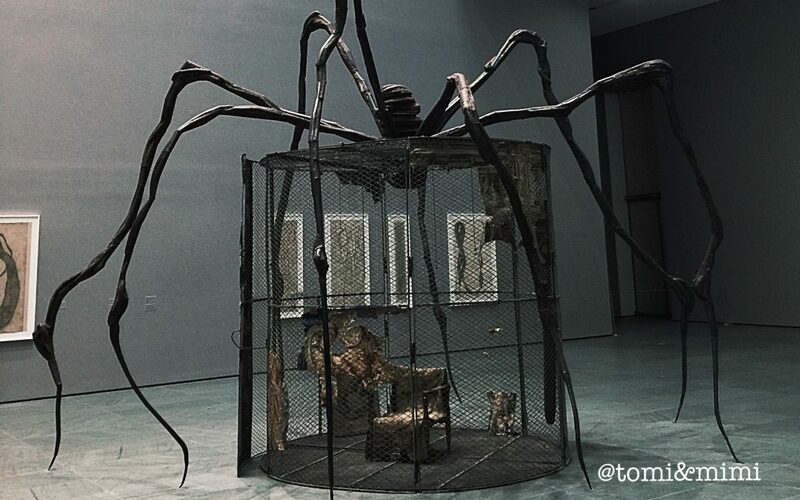 They went to the Museum of Modern Art (MoMA) in New York City and saw an enormous spider! Luckily it wasn’t real, but it was a true adventure. Maybe you can find spiders and other spooky stuff at your museum too. Try the nature museums or history museums around where you live, you are sure to find something there! Ask your parents to take you there, besides scary and funny things, you can learn a lot from a museum. That is always handy, knowing a lot, who wouldn’t want that! Tomi & Mimi sure do. Bye now. See you spooky soon!